Blogging time is still very limited, I'm afraid. Hope to be back to normal tomorrow afternoon. Film blog Libertas has a long and angry response to the Mel Gibson fiasco. In a strange twist of fate, Mad Mel and Oliver Stone (another film celeb known for his eccentric driving habits) have swapped places almost overnight. A new hero, a new villain. If this story is being reported accurately, Gibson’s remarks are vile and particularly contemptible for coming at a time when Israel is fighting for its life. He was drunk? So what. One can only assume lots of people make it through a D.U.I. arrest without blaming it on a Jewish conspiracy. Gibson’s alleged comments also come after a lot of conservatives in Hollywood and elsewhere had gone to the mat to defend him against charges of anti-Semitism. Those conservatives included Govindini and I - who stood up for Gibson, even on national television. Neither of us believed those charges about him. Neither of us wanted to pre-judge Gibson or his film purely on the basis of his father’s remarks. The post's heading reads "Mel Gibson, R.I.P." Quite. World Cup withdrawal symptoms, the heatwave and West End sleight-of-hand, in my latest Washington Times column. I have read about battles, of course, have talked about battles, have been lectured about battles and, in the last four or five years, have watched battles in progress, or apparently in progress , on the television screen. I have seen a great deal of other, earlier battles of this century on newsreel, some of them convincingly authentic, as well as much dramatized feature film and countless static images of battle: photographs and paintings and sculpture of a varying degree of realism. But I have never been in a battle. And I grow increasingly convinced that I have very little idea of what a battle can be like. John Keegan, The Face of Battle. Friends are visiting from America at the moment, so there isn't much time for posts. Sorry. They moved camp four times, when the maquis said that the Germans were coming too close. The British had been warned at briefings that informers were a deadly threat, and they saw five alleged double-agents shot by the maquis during their time in France. For some days, a girl who had fraternized with the Germans was held prisoner in the camp. She was in her thirties, a graduate of the University of Poitiers who spoke perfect English. She had no great fear for her own fate, for she did not think her crime serious. She sewed shirts from parachute silk for some of the SAS men, and they chatted amicably enough to her. Then early one morning a maquisard woke Sam Smith and asked him if he wanted to see an execution. They walked to a clearing where the maquisards dug two graves. The girl was brought first. She simply asked that her ring be given to the local farmer’s wife. Then a Belgian prisoner was brought, dragged screaming on his knees for mercy. When he realized there would be none, he stood up quite calmly and said: "Don’t shoot me in the throat." Then five maquisards shot them with rifles. Smith felt guilty later that he had watched without attempting to stop the executions, but at that moment he was merely a spectator of other men’s war. The maquisards often remarked that it was easy for the SAS to be merciful, for if they were captured they faced only a POW camp. For themselves, capture meant death. My mother-in-law's funeral takes place today. I hope to be blogging again tomorrow. Jean-Remy von Matt, the CEO of a German advertising agency, spoke for many in the media industry when he fired off an enraged email after bloggers had effectively sabotaged one of his advertising campaigns. In the email he called blogs "the toilet walls of the internet". "What on earth", he asked, "gives every computer-owner the right to express his opinion, unasked for?" My local grocer vanished two weeks ago when a suicide bomber walked into the café where he was eating. They found only his shoes and phone. "We slowly drove past 4th Infantry guys looking mean and ugly," recalled Sgt. Kayla Williams, then a military intelligence specialist in the 101st Airborne. "They stood on top of their trucks, their weapons pointed directly at civilians. . . . Why was this intimidation necessary? No one explained anything, but it looked weird and felt wrong." The unit, a heavy armored division despite its name, was known for "grabbing whole villages, because combat soldiers [were] unable to figure out who was of value and who was not," according to a subsequent investigation of the 4th Infantry Division's detainee operations by the Army inspector general's office. Its indiscriminate detention of Iraqis filled Abu Ghraib prison, swamped the U.S. interrogation system and overwhelmed the U.S. soldiers guarding the prison. "We had a staff picnic in August. Now, if you're the editor of a magazine that has a staff picnic, you go to the picnic and you lead; you have fun. Moore went to this picnic and he found a table in the picnic area off to the side and sat there by himself, staring into space for five hours with this really morose look on his face. He wouldn't talk to anybody. It was the weirdest thing, really bizarre. People were wondering, 'What the hell? This is our editor? Our leader?' It was at that point that most people realized, 'This guy can't run this magazine; he can't lead us.' Some of this stuff would even be excusable if he was coming in on Monday with thirty great ideas, twenty great writers, but that wasn't happening at all. As a matter of fact, he was blowing us away with how stupid he was at running the magazine." 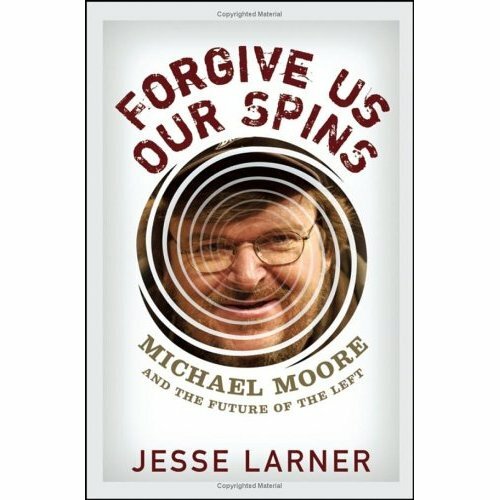 Jesse Larner: Forgive Us Our Spins. 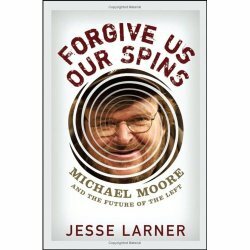 Actually, Jesse's book (written from the Left, remember) makes it plain that, at other points in his career, Moore could come up with some inspired ideas. But there's surely a pathological component in the reckless deceptions he scatters around in his work. As Jesse observes, the man is like a burglar who keeps robbing the same bank, almost as if he wants to be caught. Perhaps that's another reason why so much of the media has given him a pass. When a person's behaviour is that extreme, it's easy to convince yourself that it must express some deeper truth, plucked from the heart of the ordinary working Joe. (Moore has always been brilliant at playing the class card.) I've interviewed him by phone, and couldn't help marvelling at how effortlessly he ignored inconvenient questions; all that mattered to him, it seemed, was serving The Cause. But what if The Cause is just a pretext? Even now, a lot of people still haven't faced up to that question.